Some of the best teams in basketball made moves at the trade deadline in the hopes of winning a title, but a couple of other teams had their eyes on what will happen shortly after the 2019 NBA Finals. The New York Knicks and Los Angeles Clippers both made deals that give them an advantage over the rest of the league in free agency. By sending Kristaps Porzingis, Tim Hardaway Jr. and Courtney Lee to the Dallas Mavericks, the New York Knicks gave themselves enough room under the salary cap to sign two free agents to max contracts this summer. After trading Tobias Harris and Avery Bradley, all the Los Angeles Clippers have to do in order to create space for two max salaries is use the stretch provision on Danilo Gallinari. Plenty of teams will be able to sign a superstar free agent to a max contract this summer. The Brooklyn Nets will be a player for an All-Star with just over $54 million in payroll committed for the 2019-2020 season. The Los Angeles Lakers have plenty of money to spend with a projected payroll of $66 million. But the Knicks and Clippers can make an offer that no one else can: sign here and bring along the free agent of your choosing. The NBA has a projected $109 million salary cap for next season. Max free agents will command at least $32.7 million in the first year of their contracts. Several All-Stars can become free agents this summer, and the two elite superstars that are set to become available have been linked to New York and L.A. 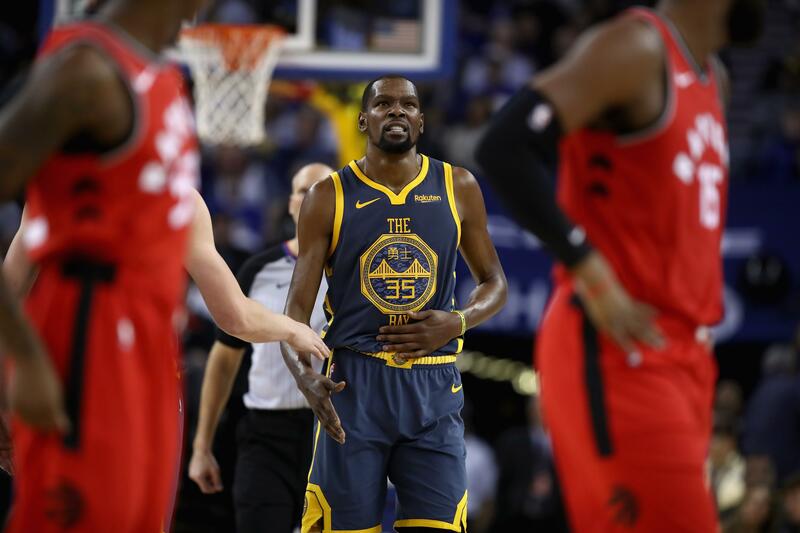 The Knicks are considered to be the most likely destination for Kevin Durant, and the Clippers are the favorites to sign Kawhi Leonard. If each team lands their top target, there’s a good chance that another big name will follow. According to the latest rumors, the Knicks have visions of pairing Kyrie Irving with Durant. The point guard has refused to commit to staying with the Boston Celtics beyond this season. If Boston doesn’t have a deep playoff run, it wouldn’t at all be surprising to see Irving join his hometown team. Maybe Irving will stay in Boston or head to the Lakers to reunite with LeBron James. In that case, Kemba Walker wouldn’t be a bad consolation prize for the Knicks. If signing both Durant and Leonard is the Clippers’ Plan A, Plan B might revolve around getting Leonard and Jimmy Butler. It’s certainly no guarantee that the Philadelphia 76ers will be able to keep the free-agent-to-be. They likely acquired Harris from the Clippers, in part, because they realize losing Butler this summer is a possibility. The Clippers have their point guard of the future in Shai Gilgeous-Alexander, making Butler an ideal second star over Irving for Los Angeles. Butler would also be in consideration as a player for the Knicks to sign alongside Durant. The notion of trading for Anthony Davis could also loom over the two franchises in the weeks before free agency begins. If the Knicks win the draft lottery on May 14—they currently are tied with the best odds to do so—they’ll be able to top any offer made to the New Orleans Pelicans. If the Clippers miss the playoffs, it’ll give them another first-round pick to potentially put on the table in an offer for the NBA’s best big man. The Knicks and Clippers are in danger of striking out this offseason. Durant might decide to stay with the Golden State Warriors and continue playing for a historic dynasty. A run to the NBA Finals could convince Leonard to stay with the Toronto Raptors. But there’s no question that the two franchises have put themselves in position to become immediate championship contenders for next season.